사물의 유래 | 마라톤 코스는 왜 26마일일까? Why Is a Marathon Running Race 26 Miles Long? 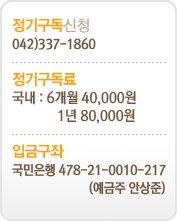 1936년 베를린 올림픽의 하이라이트인 마라톤 경기. 27개국에서 56명이 참가한 가운데 손기정 선수는 42.195km를 2시간 29분 19.2초에 주파해 당시 세계 신기록을 세우며 금메달을 땄다. 동아일보는 1936년 8월 25일자에서, 일장기를 단 채 시상대에 올라가야 했던 손기정 사진에서 일장기를 지웠다. 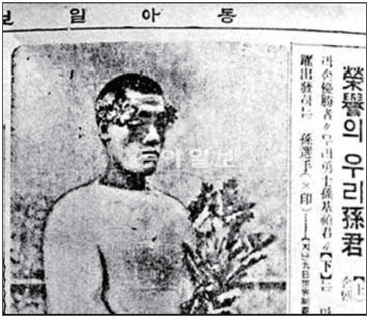 동아일보의 일장기 말소 사건은 식민지 지배 정책에 대한 정면 대결로 1930년대 후반의 항일 민족 투쟁에 불을 지폈다고 할 수 있다. 손기정은 훗날 일장기 말소를 주동한 이길용 기자를 “그분은 신문기자라기보다 독립지사 같은 인물이었다.”고 회고했다. In 490 B.C., an army from Persia invaded Greece, landing on the plain of Marathon, near Athens. The soldiers from Athens wanted to inform their allies in Sparta of the invasion, so they sent a young man named Pheidippides with the message. Pheidippides ran all the way from Marathon to Sparta, a distance of 140 miles – then ran back to rejoin the Greek army at Marathon! 기원전 490년, 페르시아군이 그리스로 쳐들어와 아테네 근처의 마라톤 평원에 상륙했다. 아테네의 병사들은 이 침략을 스파르타에 있는 동맹군들에게 알리기를 원했다. 그래서 페이디피데스라는 젊은이를 전령으로 보냈다. 그는 마라톤에서 스파르타까지 140마일의 거리를 내내 달려갔다. 그리고 다시 그리스 부대로 복귀하기 위해 마라톤까지 달려서 돌아왔다! A few days later, after the Greeks had defeated the Persians at Marathom, Pheidippides was sent to deliver the news of the victory to Athens. He raced almost 23 miles to the city in just a few hours, shouted “Victory!” with his last breath, and died of exhaustion. 며칠 후 마라톤에서 그리스가 페르시아군을 패배시킨 후, 아테네에 승전보를 알리기 위해 페이디피데스를 보냈다. 그는 아테네 도시까지 거의 23마일이나 되는 거리를 단 몇 시간 만에 달려가서, 마지막으로 ‘승리다!’라고 외치고는 그만 지쳐서 숨을 거두고 말았다. Several years later, the Athenians established a series of running events in honor of Pheidippides. Then in 1896, when the Olympic Games were revived, a long-distance race called the &marathon& was established. It covered about the same 23-mile distance that Pheidippides had run between Marathon and Athens. In 1924, this distance was changed to 26 miles, 385 yards - the length of all Olympic marathon races today. 몇 년이 지나서, 아테네 사람들은 페이디피데스를 기리기 위하여 일련의 달리기 행사를 마련하였다. 올림픽 경기가 부활된 1896년에 ‘마라톤’이라 불리는 장거리 경주가 정식 종목으로 채택되었다. 이 경주의 거리는 페이디피데스가 달렸던 마라톤과 아테네 간의 거리인 약 23마일이었다. 이것이 1924년에 오늘날의 마라톤 코스의 공식 거리인 26마일, 즉 385야드로 변경되었다. In the coming world, each people shall found their own country. 앞세상에는 족속에 따라 나라를 세우리라.